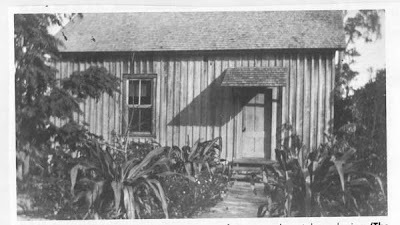 We received the wonderful image below of a historic shed from Theresa Schretzmann-Myers, the President of the Henry Nehrling Society, Inc. 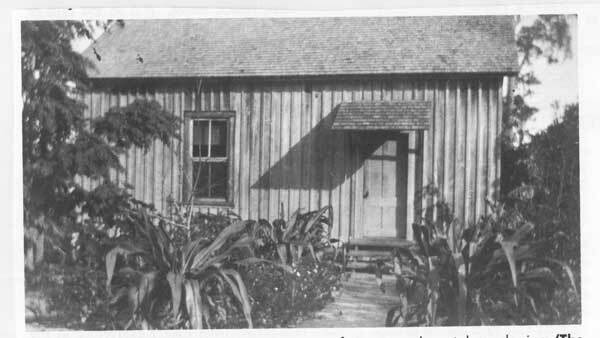 Known as the “Bookshed”, the board and batten outbuilding was used by famed Florida horticulturalist Dr. Henry Nehrling at his Palm Cottage estate as a library and office. Dr. Nehrling was a 31-year-old Wisconsin schoolteacher and naturalist who purchased 40 acres in 1885 in Gotha, Florida, a small community near Orlando. There he established gardens where he could experiment with tropical and subtropical plants year round. 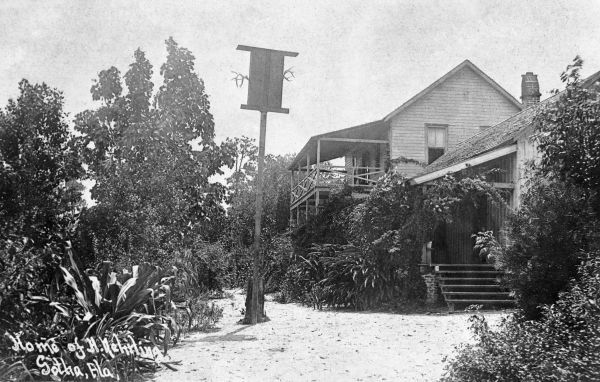 By the turn of the century, Dr. Nehrling’s extensive Palm Cottage Gardens became a popular destination for thousands of tourists, nature lovers and new Florida settlers. Many prominent people of the era such as Theodore Roosevelt, Thomas Edison, and David Fairchild, the famous botanical explorer, visited. Eventually consisting of 60 acres, the estate was Florida’s first experimental botanical garden where over 3,000 new and rare plants were cultivated and tested. Due to encroaching development, only the 6-acre homestead site of Palm Cottage Gardens remains intact today. 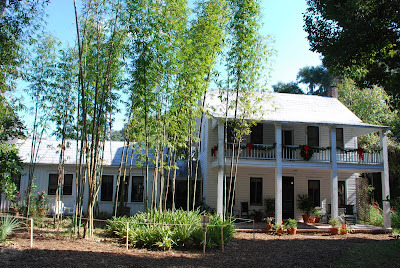 Remnants of the original 100-year old tree canopy and many of his plantings still exist, and the house is a charming and authentic example of pioneer Florida life. Unfortunately, the “Bookshed” where Dr. Nehrling worked no longer exists; however, the bulk of his library and writings have been saved and are being cataloged for future researchers. The Henry Nehrling Society, Inc. was established in 1999 by a group of concerned citizens to preserve Dr. Nehrling’s home and horticultural legacy. The Society’s first accomplishment was having Palm Cottage Gardens placed on the National Register of Historic Places in November 2000. Since then, the Society has focused on educating the public about Dr. Nehrling’s importance to the horticultural history of Florida. 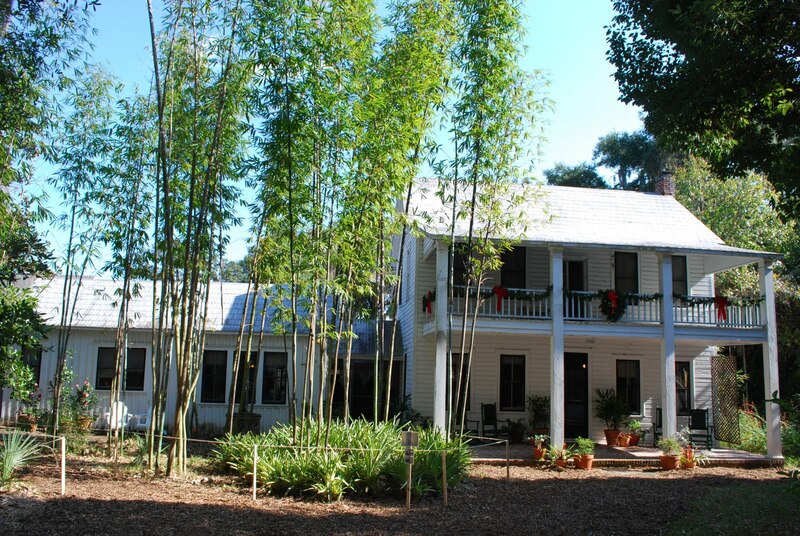 In November 2009, the Society was able to purchase the home and gardens and ensure its preservation. The all-volunteer non-profit Society is currently working to raise much needed funds to pay off the mortgage on the historic house and gardens. To this end, they have established a Friend of Nehrling Gardens, “Honorary Deed Program” where benefactors can purchase an “Honorary Deed” for one or more square yard parcels of the property, at $50/square yard. Supporters can go to the website at www.nehrlinggardens.org to donate, become a member, or purchase an honorary deed. The Society is also seeking volunteers for Fundraising, Public Relations, Grant Writing, Volunteer Coordinators and Treasurer as well as items from a “Wish List” for garden tools. You can schedule a private group tour of Palm Cottage Gardens by contacting theresa.myers(at)nehrlinggardens.org or visiting the website at www.nehrlinggardens.org. Boy and Girl Scout Troops, school groups, service organizations, garden clubs and horticulture groups are also welcome by appointment.